In glittering Newport, Rhode Island, at the close of the nineteenth century, status is everything. But despite being a poorer relation to the venerable Vanderbilts, Emma Cross has shaped her own identity as a reporter and a sleuth. 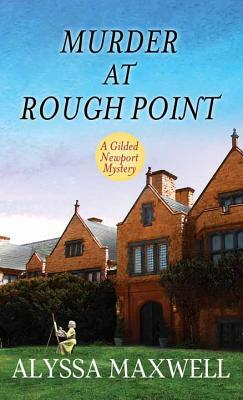 Fancies and Fashion reporter Emma Cross is sent by the Newport Observer to cover an elite house party at Rough Point, the cottage owned by her distant cousin Frederick Vanderbilt, which has been rented as a retreat for artists. To her surprise, the illustrious guests include her estranged Bohemian parents recently returned from Europe as well as a variety of notable artists, including author Edith Wharton.